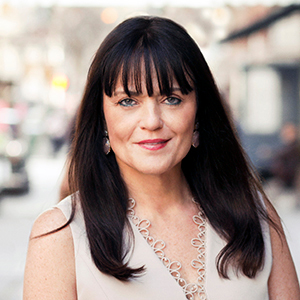 Laura Blum has always provided exceptional client service to discerning high-profile clients. Her goal as your agent is to exceed your expectations while taking the time to educate you on the market, and insure informed, rewarding decisions. Having raised and schooled two sons on Manhattan's Upper East Side, and also knowledgeable after spending time in the Hamptons and Columbia County, New York, Laura understands the importance of real estate from emotional, lifestyle and investment standpoints. As a keen listener and communicator, she will guide you with full support and attention to your needs whether you are looking to rent, buy or sell. Born and raised in England, Laura attended accounting college prior to moving to New York. She has a strong grasp of numbers and a natural talent for working with people. Laura previously worked in the fashion and restaurant industries, where she demonstrated her exemplary customer service and administrative skills as a savvy, seasoned executive with a proven penchant for streamlining operations and results. When not happily occupied with her real estate clients, Laura enjoys photography, swimming, cooking, spending leisure time with her family and partaking in all that NYC, Columbia County and the Hamptons have to offer. Laura is a Member of the Real Estate Board of New York.